While many bass guitarists thrive on electric basses, acoustic bass guitars still hold quite a bit of charm. Unlike the electric bass guitar, which is solid body, the acoustic bass guitar is hollow bodied, similar to the acoustic guitar. Unlike acoustic guitar however, the acoustic bass typically requires amplification since it is often too quiet to hear by itself. 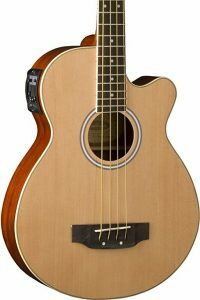 Below we have given you an overview of what we consider to be the best acoustic bass guitars available. 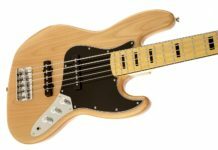 If you are instead looking for the best electric bass guitars, you can read our guide on the best bass guitar brands. 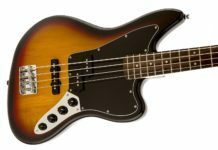 To determine the best acoustic bass guitars, we looked at a number of different factors including sound quality, price, online reviews, company reputation, and overall value for the price. 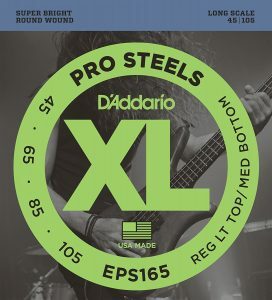 Sound quality is important to make sure you are getting an acoustic bass guitar that makes you sound the best you can. We have spent tens of hours listening to these different acoustic basses to make sure we know which ones have the best sound quality. 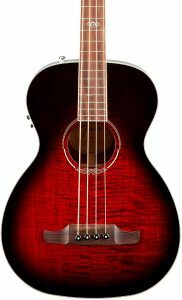 Buying an acoustic bass guitar at an affordable and reasonable price is very important. We have evaluated all of the following brands on their price points. Online reviews: We have scoured hundreds of online reviews to make sure that users agree with the rankings we have made. Buying an acoustic bass guitar from a company with a great reputation is important. Not only do the companies below provide great quality instruments, they also provide great support for the instruments they sell. The legendary American bass guitar maker also makes acoustic bass guitars. While more well-known for their electric bass guitars and guitars, Fender makes high-quality acoustic bass guitars as well. This is easily the best acoustic bass guitar under $600. The Kingman bass guitar is beautifully crafted with a solid spruce top, scalloped X bracing and mahogany back and sides for defined and resonant bass sound. A truss rod allows the neck to be adjusted to any player’s preference. It also has a 20-fret rosewood fingerboard, 3-ply gold pick guard, and a Viking bridge. 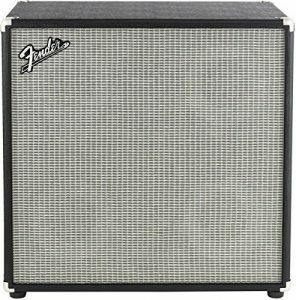 The bass comes with a pre-amp that allows the bass to be plugged into any acoustic bass guitar amp. If you’re looking for a solid acoustic bass guitar, you should look no further than the Fender Kingman if you can handle the sticker price. A lovely acoustic bass guitar from one of the original makers of guitars, the Washburn AB5K is definitely one of the beauties on this list. Not only is it beautiful, but it sounds great, too. The Washburn acoustic bass guitar has a spruce top and mahogany back like many of the acoustic bass guitars on this list, but the finish makes it look stylish. The bass also comes with a pre-amp so you can hook it up to any bass guitar amp. It is approximately 44″ long so it will fit in most acoustic bass guitar cases. Another Fender, but they are definitely worth it! The T-Bucket is one of our favorite acoustic basses because not only does it look stunning, but performs just as well. The Fishman Isys III pickup system makes this a great concert bass guitar, giving it a true bass guitar sound. The body of the bass is crafted from maple for both the back and top, and the neck is made from bound maple with a “C”-shaped profile. The fingerboard is made from rosewood and has 22 frets. Pair this with a great amp and you’ll be all set to perform. 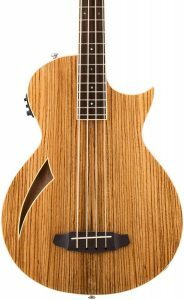 A great practice acoustic bass, the Ibanez PCBE12MHOPN provides everything you need from an affordable acoustic bass guitar: mahogany top and back, maple fretboard, and Tortoiseshell tuning machine. You will need an amp with this acoustic guitar as it is too quiet except for at-home sessions. Luckily it comes with a quality Ibanez Under Saddle pickup preamp that will work with any bass guitar amp. While the brand name might suggest otherwise, this acoustic bass is anything but cheap. 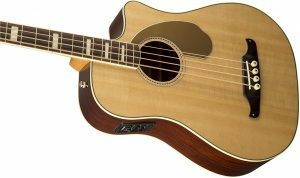 While it is certainly one of the more affordable acoustic basses on this list, it packs a lot into its package. If you’re looking for a beginner acoustic bass guitar, this should be at the top of your list. The bass is 34″ scale and has 23 frets, perfect for the beginning bass guitar player who wants to learn on an acoustic. Certainly not met for concert venues, this bass guitar features a 7545 EQ system which will deliver deep rich tones that are warm and inviting. 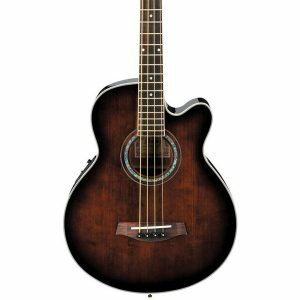 This is the only 5-string acoustic bass we recommend on this list. The strings are spaced accordingly: G to D is 16mm, D to A is 15mm, A to E is 15mm, E to B is 16mm. Another great acoustic bass guitar for beginners that can be played with or without an amp. 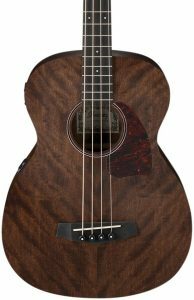 This is certainly the most affordable acoustic bass guitar on our list so it will make a gift for someone looking to begin playing acoustic bass guitar. The bass itself features a spruce top, mahogany body, and rosewood bridge and fretboard. The body is 34 inches long and contains a Dean passive preamp with volume and treble controls so that you can plug the bass into an amp for a louder jam session. 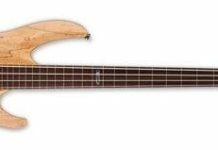 If you are looking for other beginner basses, read our guide on beginner bass guitars. 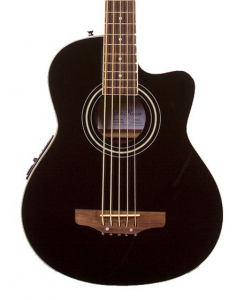 This Ibanez acoustic bass guitar is great for any jam session. It features a spruce top and a mahogany back and sides. Plug in this bass guitar to any amp and let the Fishman Sonicore pickup and SST preamp do its job. Rock on! The ESP LTL4ZNAT is a really unique acoustic bass guitar. Not only is the exterior well-styled, the insides sound amazing. The LTL4ZNAT comes with a Fishman Sonicore pickup with a TL3 preamp that takes advantage of this bass guitar’s phenomenal acoustics. The top is made from Zebrawood and the rest of the body is mahogany. The body is 34″ long and features 22 Jumbo frets. If you want to stand out from the rest of the band, this acoustic bass guitar is a great match. 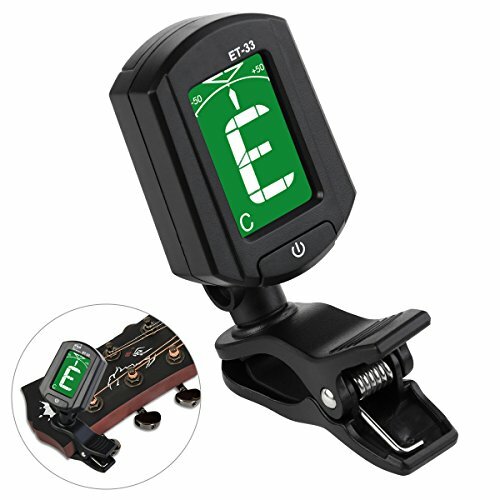 While many of the beginner bass starter kits above come with everything you need to get started, for some of them you’ll have to buy some accessories such as bass amps and tuners. You can check out our favorites below. The are many acoustic bass guitars to choose from and you will need to find one that fits your style and sound preference. While all of the acoustic basses above sound amazing, you may prefer playing one over the other. Some have a stronger, grungier sound, while others have a much more mellow tone. We recommend trying out as many bass guitars as possible to determine which one is right for you.